The programme offers bespoke experiences of work created with schools and based on the needs of their young people as well as the skills businesses are looking for in new recruits. Both University Hospitals Bristol and North Bristol Trust will now be accepting students on placements, offering experiences which aim to inspire young people to work in health and care. 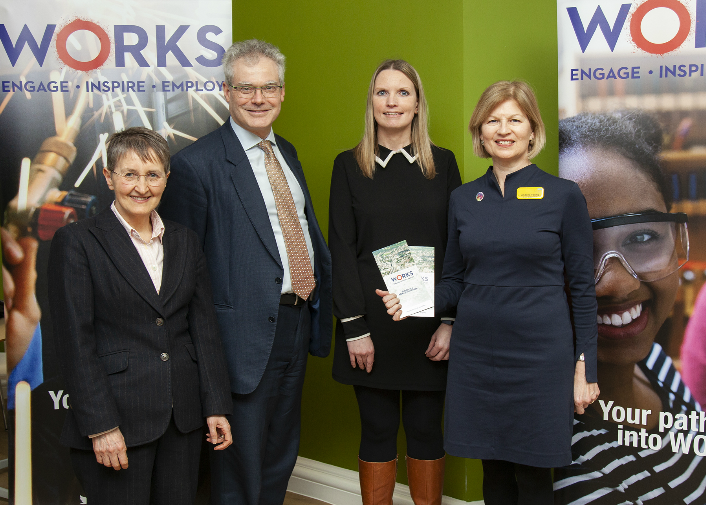 In the last school year (17/18) almost 2,500 opportunities were created through the WORKS programme and 60 employers have now pledged support. Work continues this academic year to collaborate with four more schools and so far almost 500 experiences of work have been delivered, with many more in planning. “This programme provides an excellent opportunity for our local schools and communities to find out about the many varied and hugely rewarding healthcare careers that are available at UH Bristol. Bristol WORKS is looking for more employers to get involved and there are lots of ways to do so. The WORKS website lists a range of ideas from delivering assemblies or providing mentoring through to arranging mock interviews, hosting visits from students in the workplace or supporting longer placements for young people via apprenticeships or training placements.